The Compile bookend by Muuto is a book support designed by Cecilie Manz. The support impresses with its clear lines and the sculptural character given by the various positioning options. 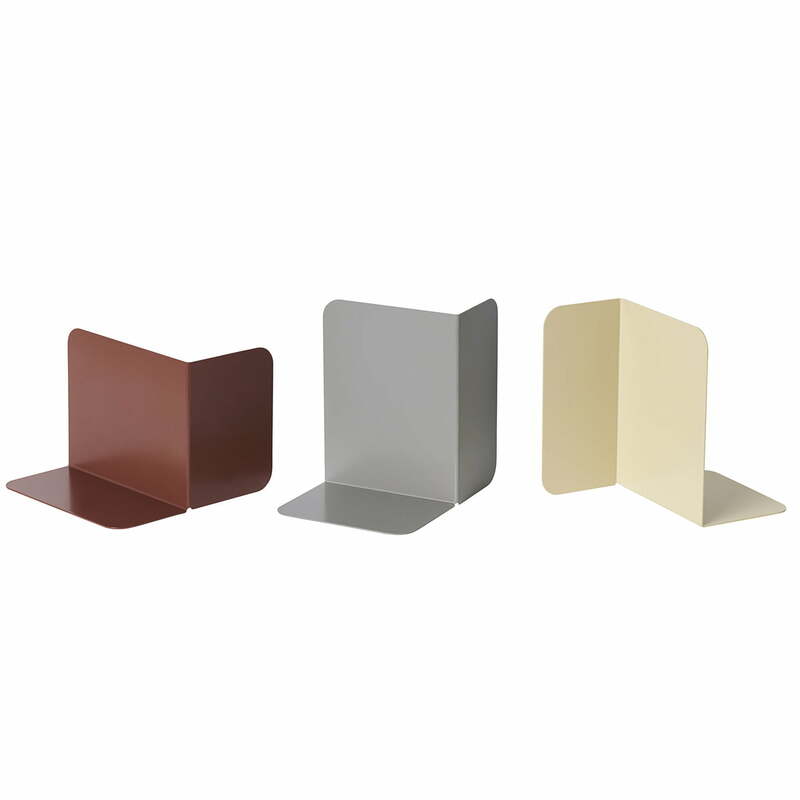 The bookend supports itself and ensures that books and magazines are held in place safely. The various placement options are adapted to the different book formats. The bookend serves as a functional element and adds at the same time colour and character to your home or the office. The Compile bookend by Cecilie Manz for Muuto is made from powder-coated steel in different colours. 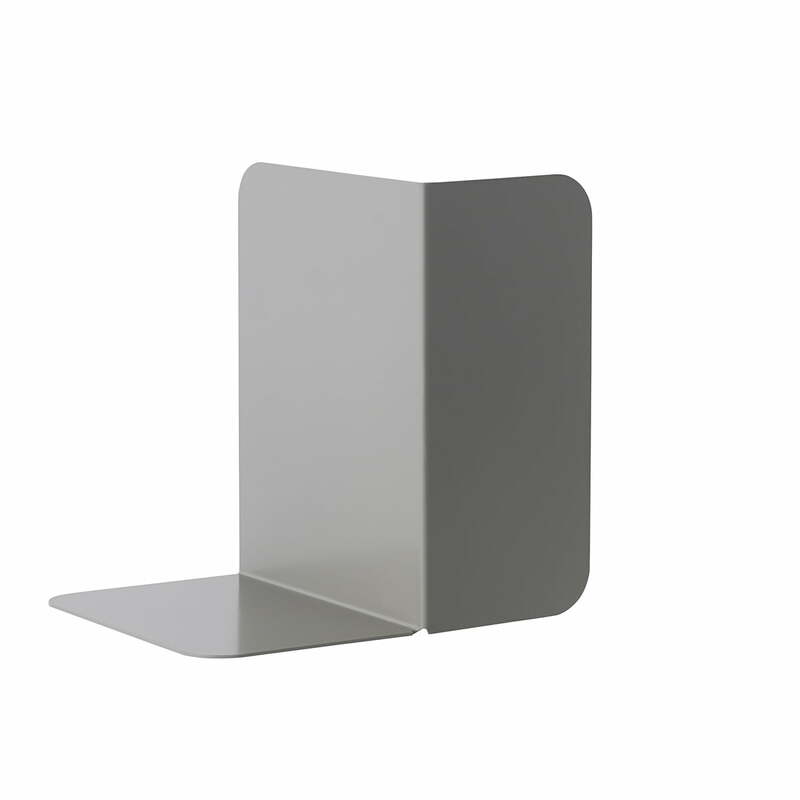 Product image of the Compile bookend by Muuto in grey. The Compile bookend by Cecilie Manz for Muuto is made from powder-coated steel in different colours.